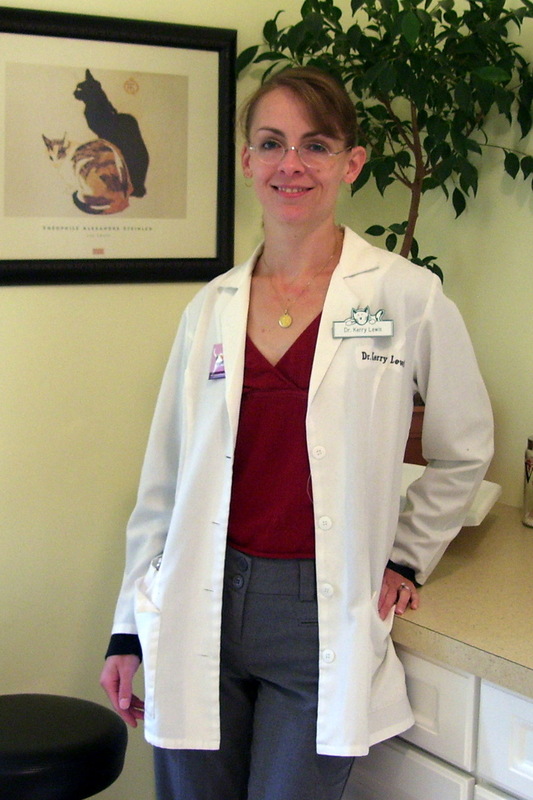 Riverside Cat Hospital was opened by Dr. Kerry Lewis in 2006. She is a 1999 graduate of Michigan State University. Following graduation, she spent 7 years working in both feline and emergency medicine until deciding to open her own practice. Dr. Lewis and her husband live in East Lansing with their two cats, Harvey and Huckleberry. They have one college age son and two children who attend East Lansing High School. In their free time, they enjoy traveling, camping, and classic movies. Dr. Lewis' practice philosophy is to consider each patient as an individual, and when making medical decisions to take into account each patient's age and lifestyle, medical condition, the owner's emotional and financial considerations, and expectations for outcome. She is a member of the American Association of Feline Practitioners (AAFP), and follows AAFP guidlines on conservative use of vaccines, senior care, and behavior, among others. Our hospital is privately owned and operated, and staffed with fully trained, caring individuals dedicated to making your cat's veterinary experience a positive one! We are a quiet, single-doctor practice, with a goal to provide high-quality medicine, focusing on the entire patient. We schedule longer average appointments, so that we have more time to get to know you and your cat. We are not a high-volume practice. If you believe that you and your pet would benefit from this type of relationship with your veterinarian, please call and give us a try!